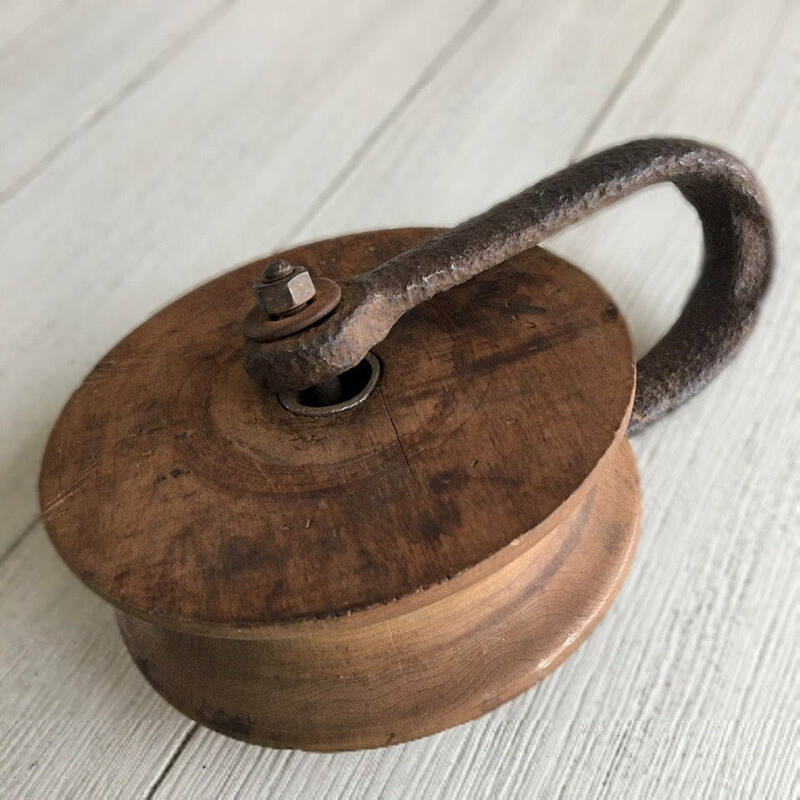 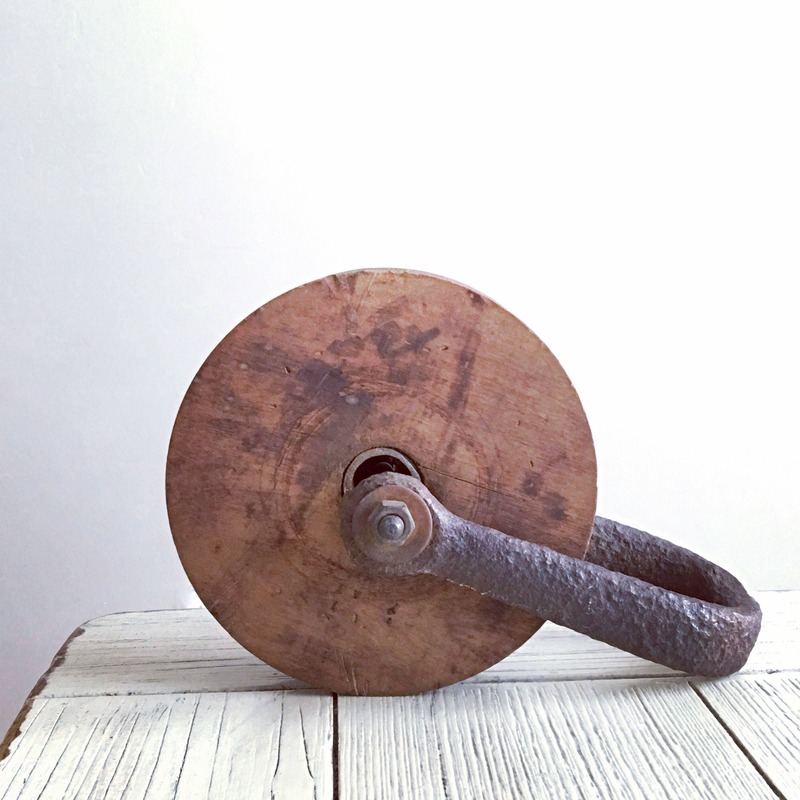 Wooden pulley wheel is 5-1/2" in diameter. 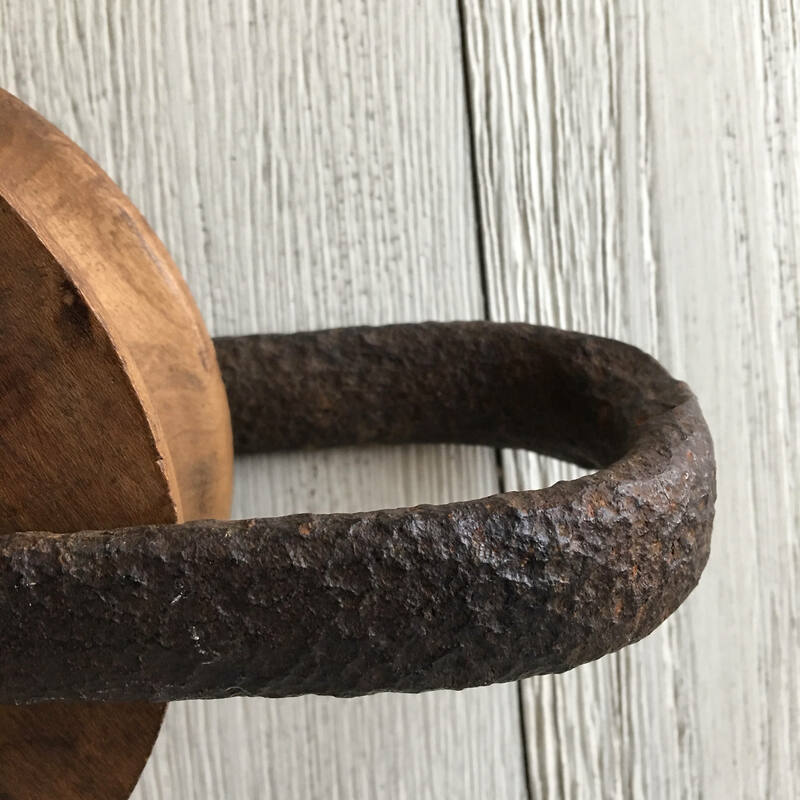 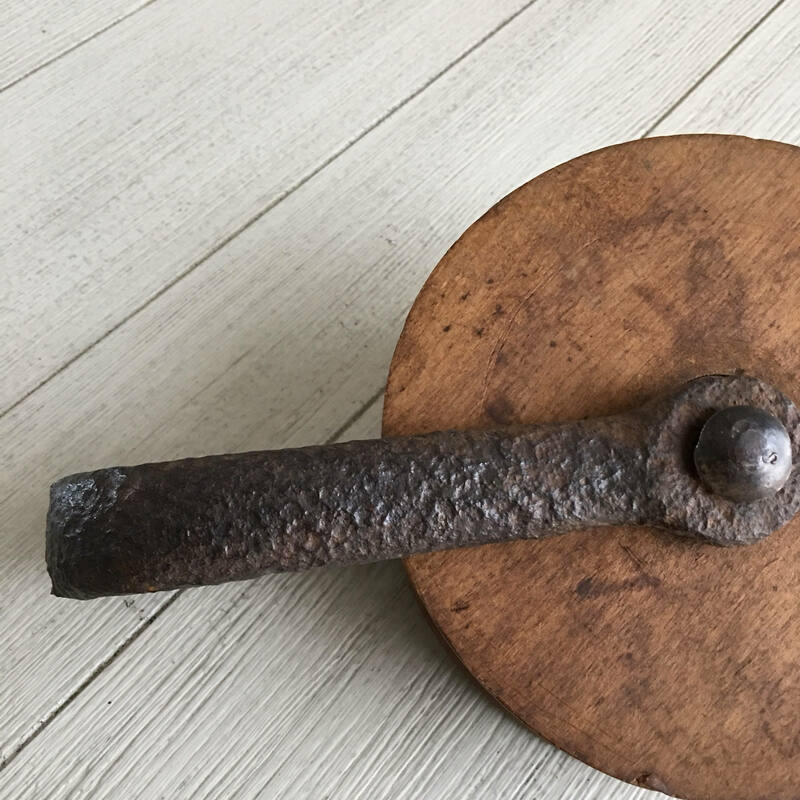 The hammered iron part shows a wonderful patina & signs of years of use. 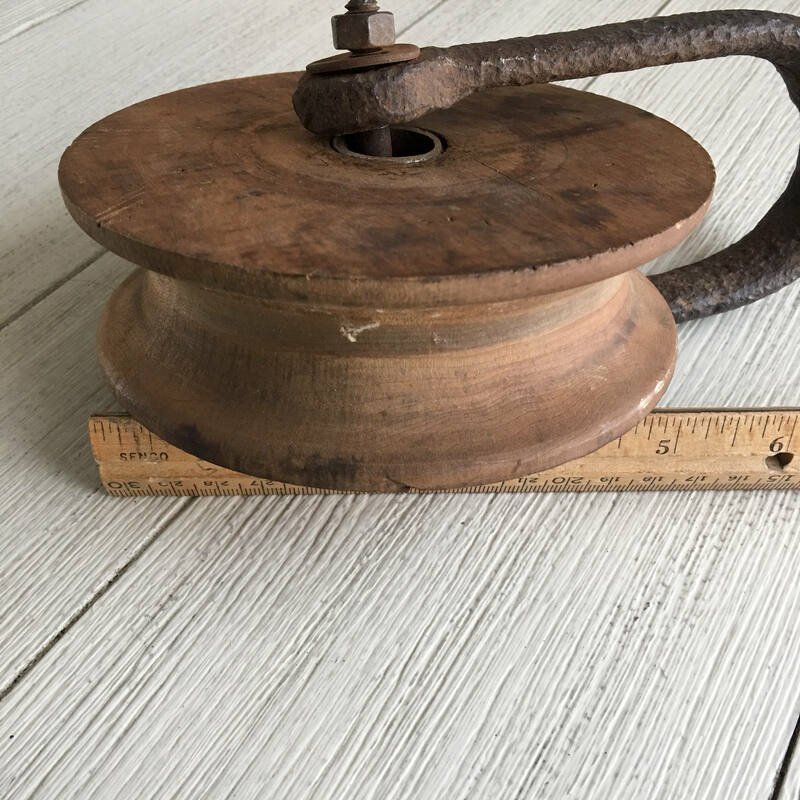 Circa 1900-30.